Stephen graduated from Charles Sturt University in 2015. He spent two years working in a mixed practice on the NSW South Coast. 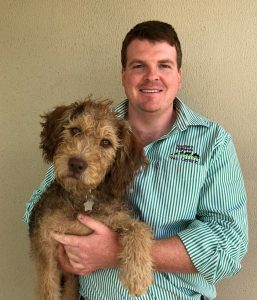 Following this he worked as a locum veterinarian in a dairy practice in South West Victoria before starting at Southern Highlands Veterinary Centre in September 2017. Stephen enjoys all aspects of mixed practice, with particular interests in cattle medicine, surgery and reproduction as well as small animal medicine. When not at work Stephen enjoys all things sport and working on his family’s small farm.